Paint it. Any colour I suppose, but I love a nice clean white, which goes with everything. But a aqua blue would look lovely too, with white walls. Think what kind of wall it’s going to be on. I painted mine Fairy White, which is a slightly pinkish white. I used that because I love the name! 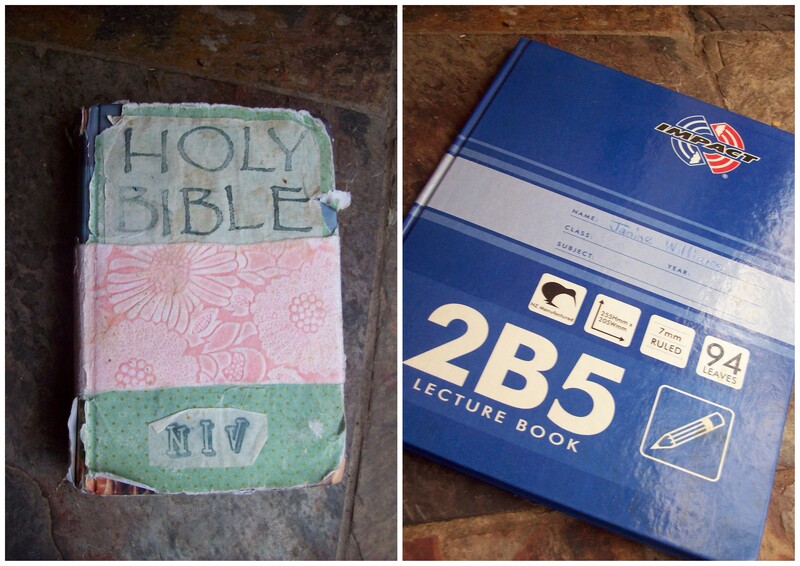 Then I left it outside for a few days…I forgot about it! But it was ok when I rescued it, apart from a couple of muddy paw prints. Cats! I got the idea from pinterest, and they had used old fashioned string, the kind you could picture wrapping brown paper parcels. I love that idea, but of course I couldn’t find any string or twine. So I used ivory ribbon, and I am really pleased with it. I cello-taped it on, and that was all it needed, no messy glue, or staples. It held very well. 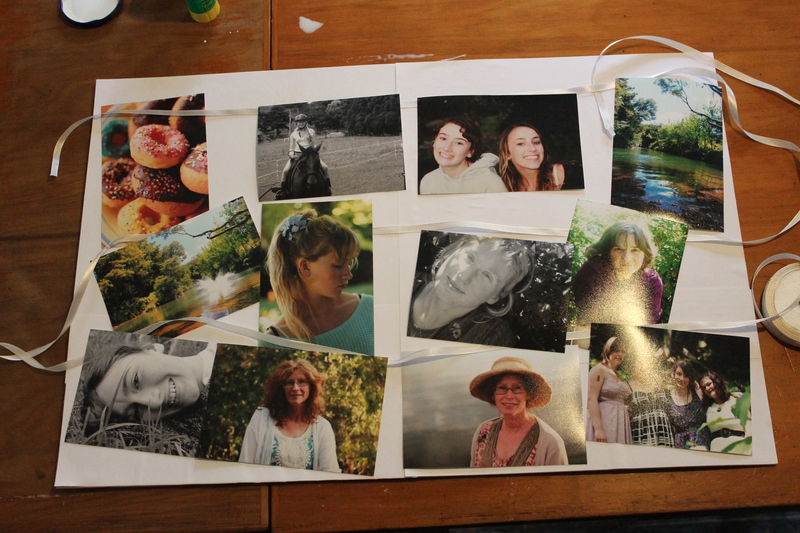 I lay out the photos and ribbon how I pictured it first, to get an idea of how many rows of photos I could fit. 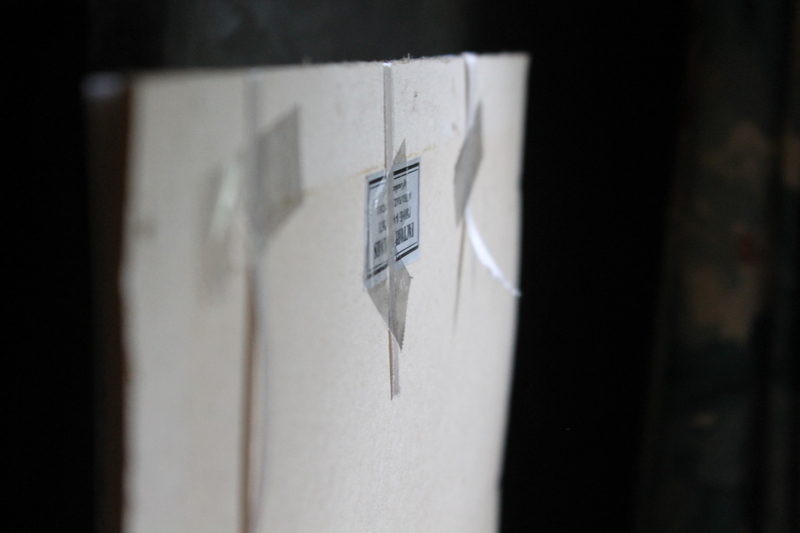 Then I cut the ribbon, and cello taped each end onto the back of the base board. 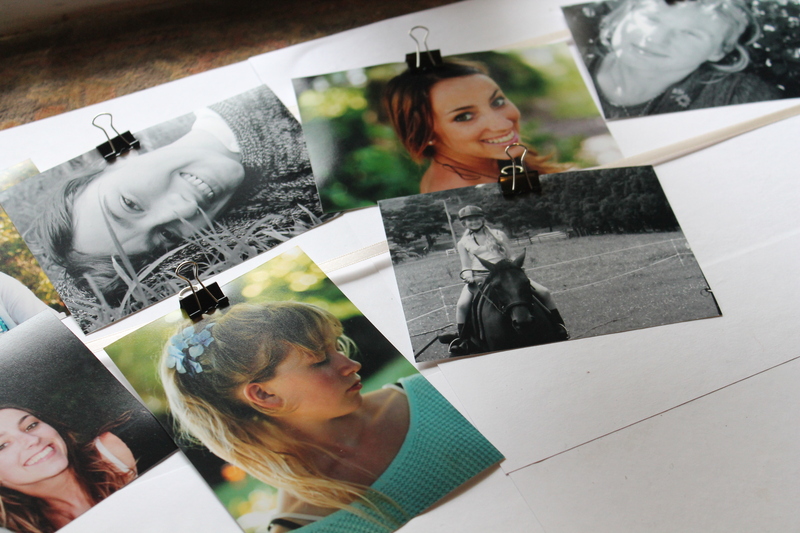 I pinned on photos as I went, and the great thing is you can change the photos around whenever you want, because you don’t put any glass over the top. 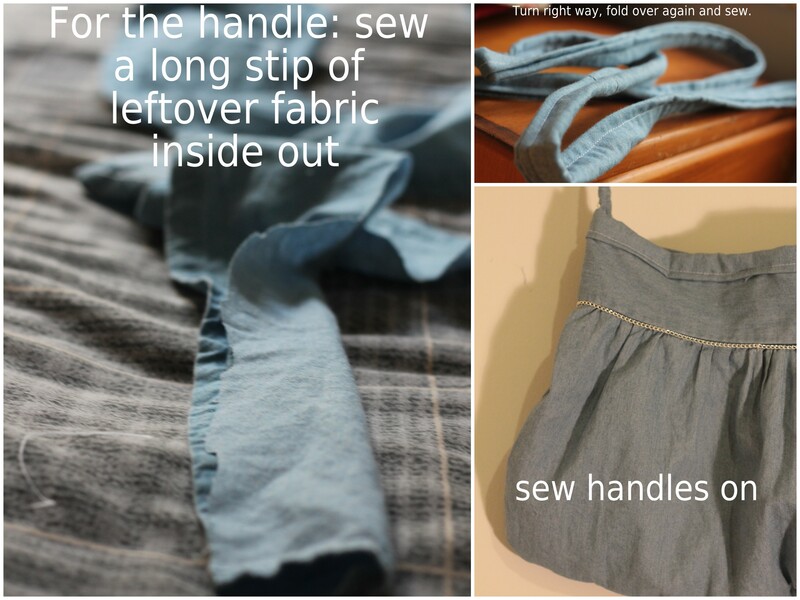 It’s very versatile, and it looks so cute! Ribbon was $2.50 for a roll, and I only used a tiny bit. Paint was free. My aunty gave us a whole lot of little samples, because she works in a paint shop. It didn’t use much paint at all, either. 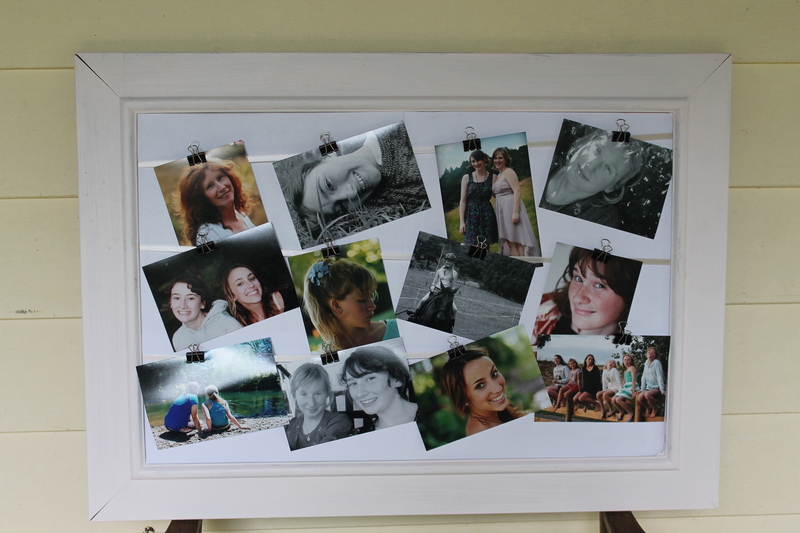 I rescued the frame, my mum was going to give it to the op shop. You can find all sorts of interesting frames at op shops, for a couple of dollars. If they are ugly, paint them! I think this would be really nice if you used only black and white photos. It would also be really nice for wedding photos. 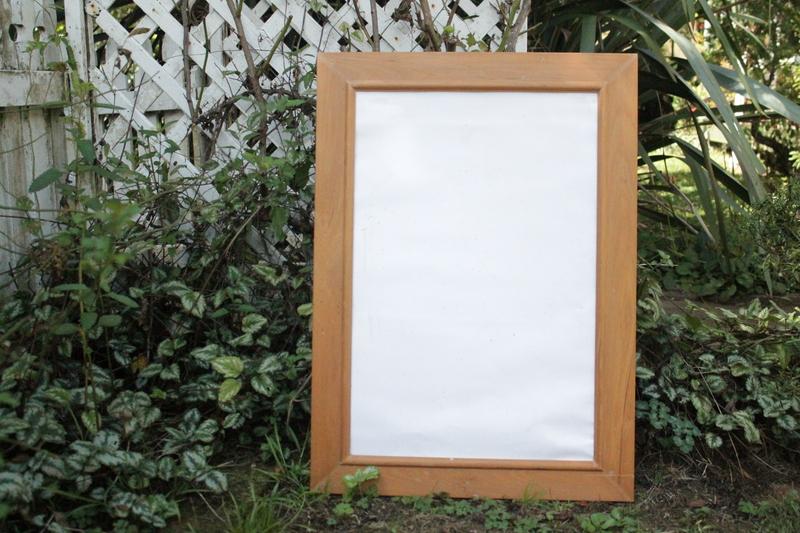 You could also stencil words onto the frame (Friends, Family, Love, etc.) Or a bible verse, or poem! It was so much fun to make…I glued and cello taped to the soundtrack of Taylor Swift singing…:) This is already hanging on the wall…now I cant wait till my bedroom gets fixed up and redecorated. This is going to look amazing. I am so happy with this recipe! One of my friends is sugar and dairy free, and that means she misses out on lots of the baking we do. 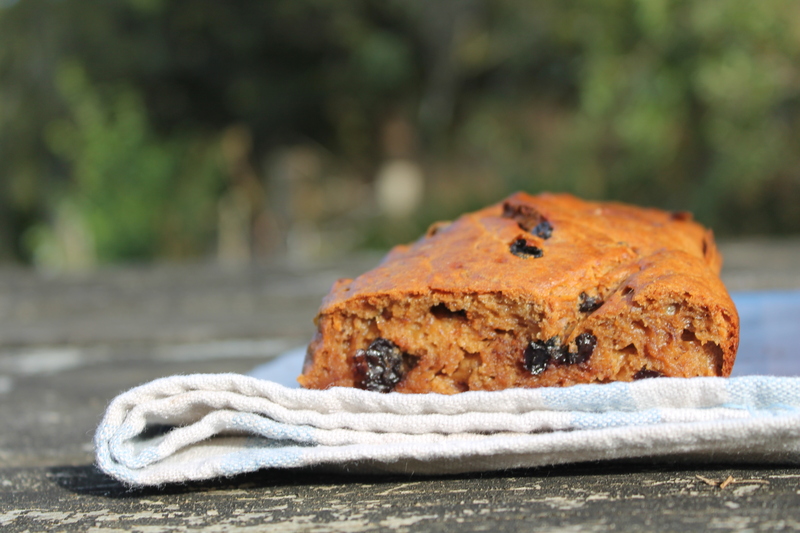 There are lots of gluten-free recipes online, and lots of sugar-free recipes, or dairy free, but it’s always one or the other! 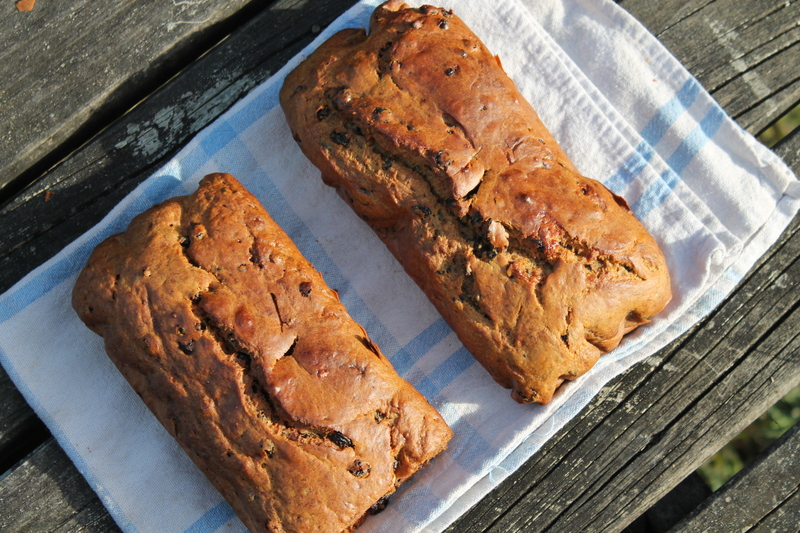 I found this amazing recipe (http://www.cooks.com/rec/view/0,164,149191-253198,00.html) that has NO sugar and NO dairy! Beat together mashed banana, oil, eggs and water until creamy. Add flour, baking soda, baking powder and spices. Beat well. Stir in nuts. Spoon batter into oiled and floured 9 x 5 inch loaf pan. Spread batter evenly. Bake at 325 degrees for 45 minutes or until a knife inserted comes out clean. Cool completely on wire rack before slicing. The original recipe was for a cup of nuts, but typically, we had run out. So I put a cup of currants in, and I think it actually made it really nice and sweet. I added a tablespoon of honey to sweeten it even more. Our slimy frozen bananas didn’t seem to have much sweetness left in them! So I only changed the recipe slightly, and I am so pleased with it. It disappeared very quickly, though. That was a shame, because I couldn’t have any toasted for breakfast! I bought this skirt about 1 year ago. I’ve worn it once. It had a little stain on the back, and it has sat in my wardrobe for months, me not quite wanting to throw it out, just in case I think of something to do with it…. 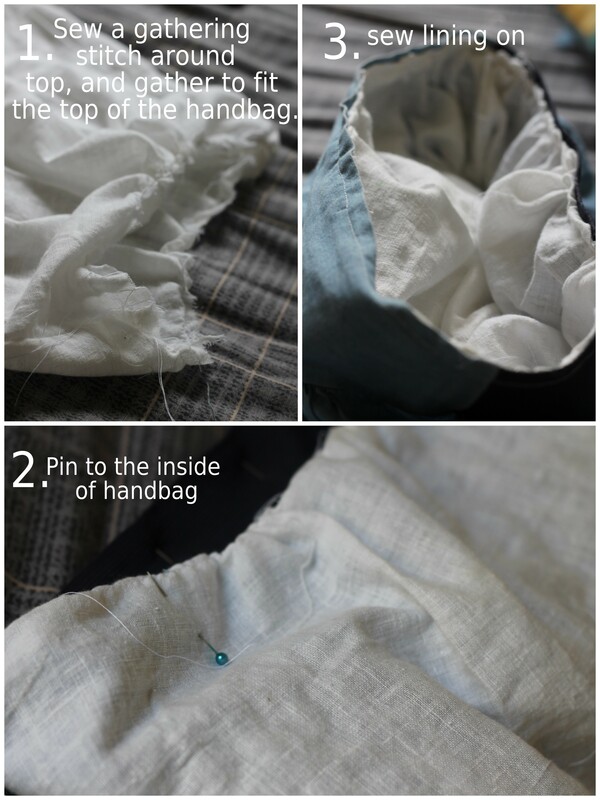 And then, I realized, it would be so much fun to make a handbag with it! It took me a while to get the bottom even. I rushed into it and hacked it all off, as usual. But after a bit of careful cutting it straightened up! 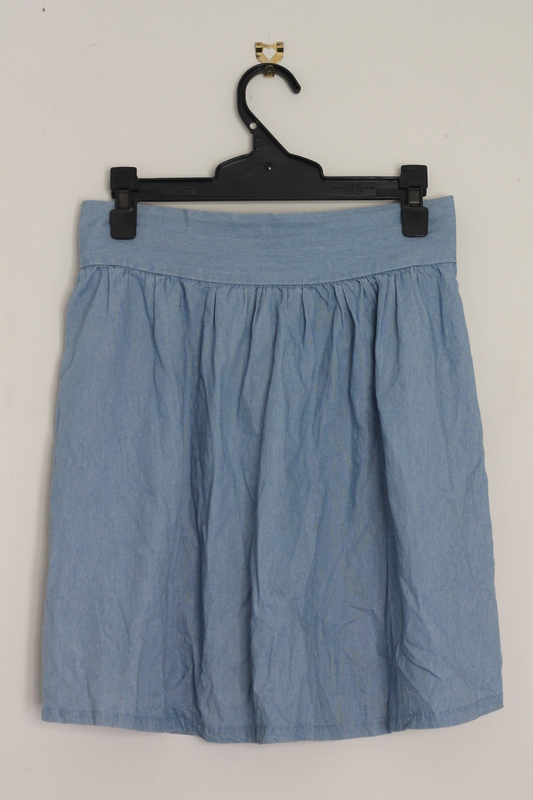 Because the skirt was quite gathered, it stuck out a bit pointedly on each side, after I had sewn up the bottom. So I stitched up each side, angling slightly, to even it out a bit. This worked very well. 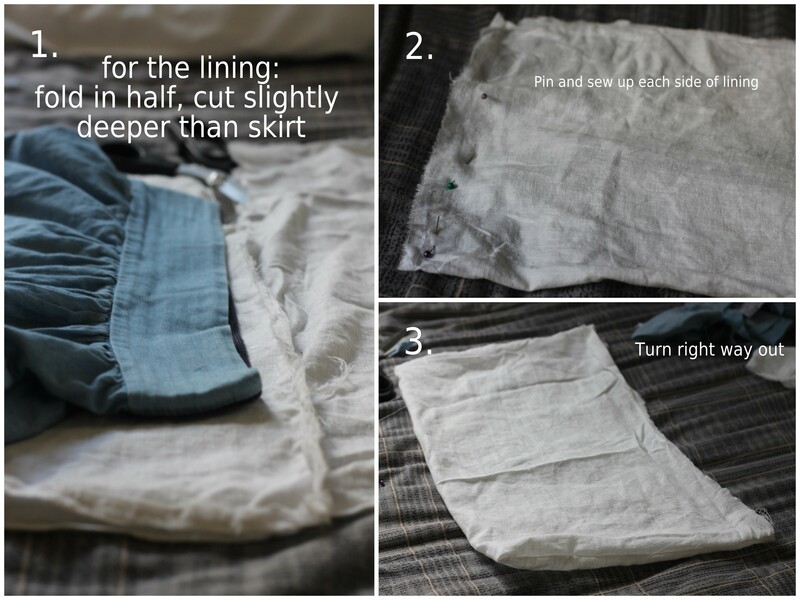 When you sew the lining on, don’t worry if it looks a little bit messy. Because I had sewed the lining on so messily, I had to sew a band around the top. I broke 2 sewing machine needles doing it! But it was worth it, because it made it look MUCH tidier. 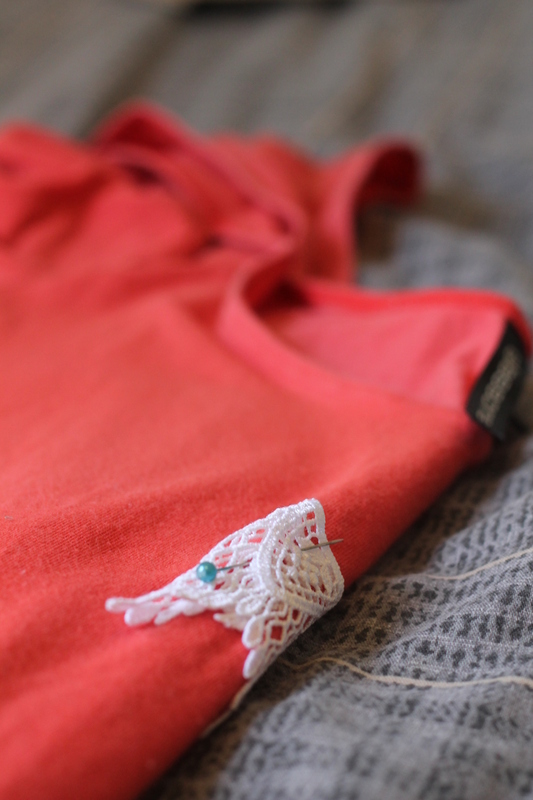 I sewed it on very carefully, and tucked it under neatly, and pinned it, because this is the top, visible edge. For decoration, I stitched a chain along the front. 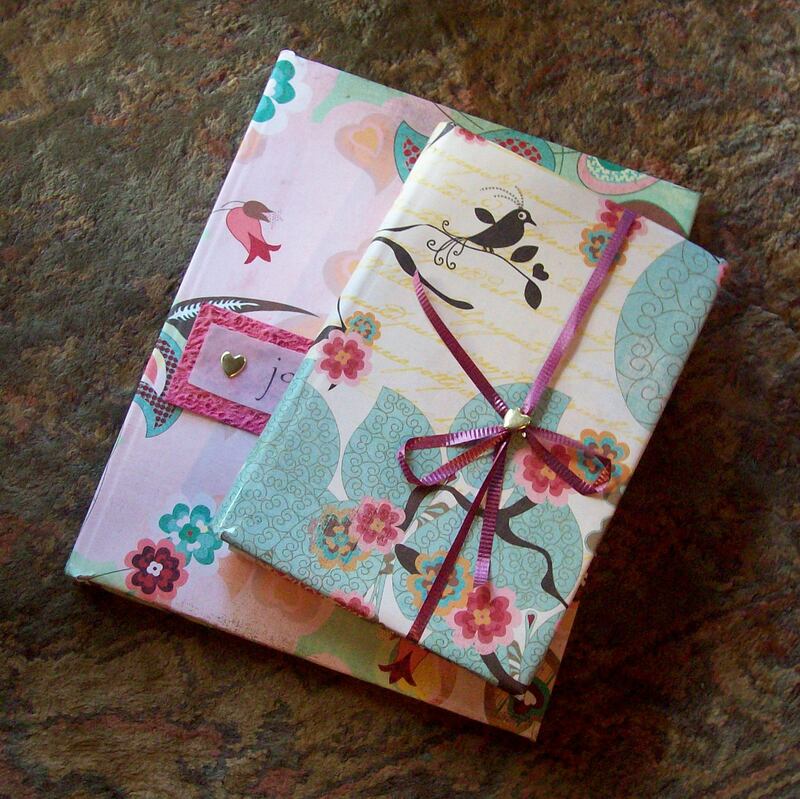 You could add anything, lace, fabric flowers, buttons, ribbon, etc. The handle was quite easy. 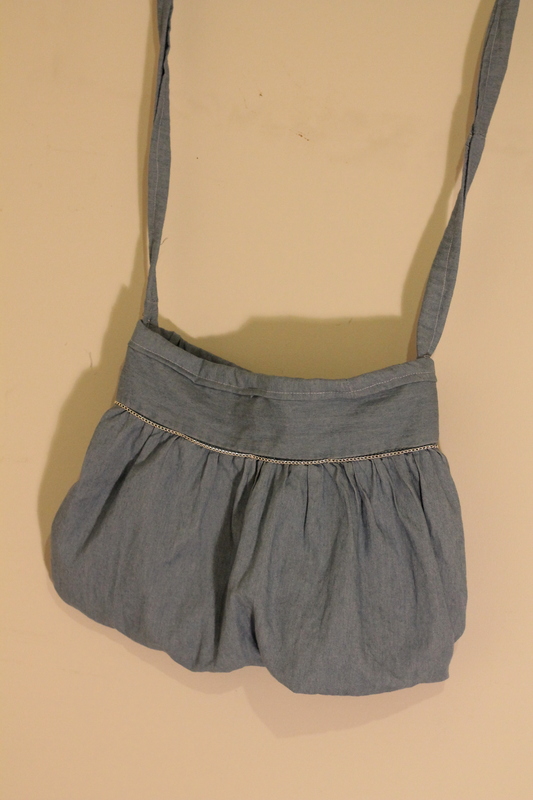 I hand stitched the handles onto the bag, because my sewing machine couldn’t manage. Also, I didn’t take pictures of this, but when my lining was sewn on, I pinned some makeshift handles on to test the length. I noticed that the bag was slightly too long, so it was a bit floppy. I turned it inside out and stitched up each side again, and cut the excess off, like I did before. This time, though, the lining was already on and so I had to neaten up some raw edged with a simple zig-zag stitch. It looks fine, though. Just it might be a good idea to check if your skirt is the right width BEFORE you put the lining on…unlike me who never think ahead very much lol. I’m pretty pleased with it! If I made it again it would probably turn out a lot neater, though. This one is definitely full of little mistakes. But my sisters are already asking for it, so it can’t be too bad! It’s a rainy day. And I have a cold, which is annoying, but it means the perfect lazy day for trying this out. 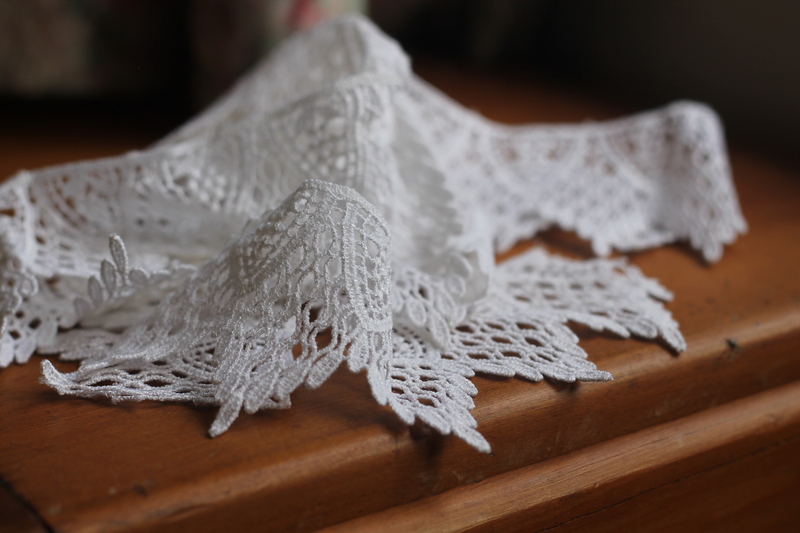 Next line of lace, above it, is slightly wider. Pin this on, stitch it across, and gather it slightly. 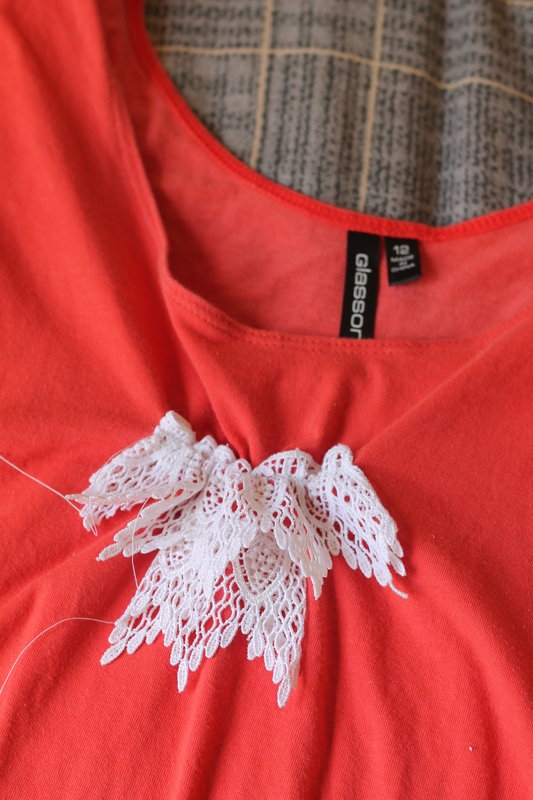 Make sure you fold each end of lace under, so that you don’t have and rough cut bits. 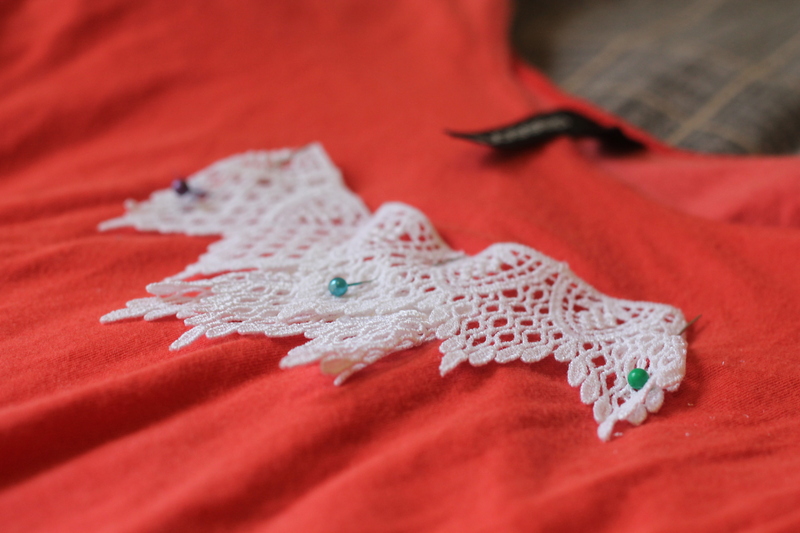 And also be careful to curve the line of lace slightly, in the same curve as the neckline of the top. 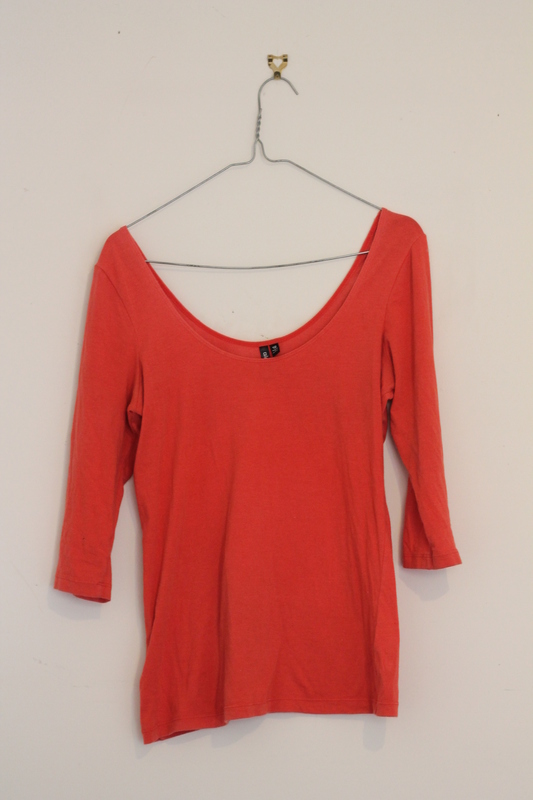 This will make it look a lot softer and elegant, rather than just straight, choppy lines. Gather this slightly too. It looks so much nicer gathered. And then the last one. I had a bit of trouble with the last one; I made one side too long and it looked very lopsided. 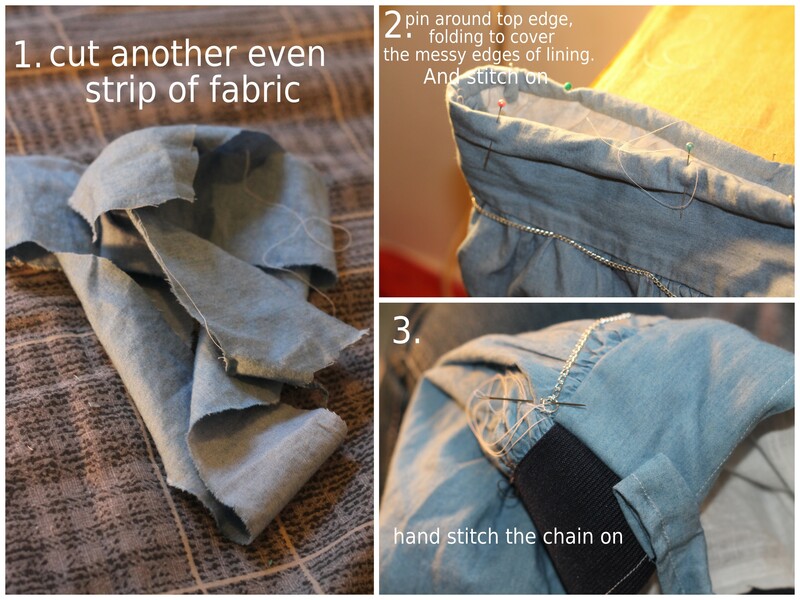 Gather this one slightly, ever so slightly, sew over that top one again, to make sure it’s secure, and cut off all your threads. It took me only about half an hour to make, but I didn’t get any big problems so that made it quicker than usual lol. 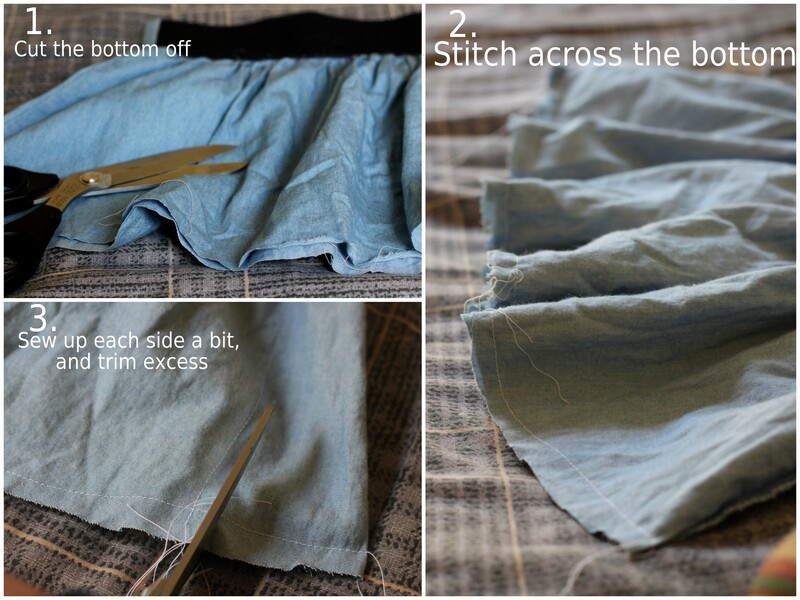 Remember that lace is very easy to fix up. If you have it sticking out a bit far on one side, sew another row of lace over and stick that one out just as far on the other side! Well, I am very pleased with this top: I’m so gonna wear it. Which means it passed the test and my sisters wont get their hands on it! Butter a 10 x 15 inch pan. Dissolve baking soda and salt in the vanilla essence. Set aside. Remove from heat, and carefully stir in the nuts and vanilla mixture. Straight away pour into pans. Leave to cool. You can put these into gorgeous glass jars, with lots of ribbon, and give them all away and not eat anything…or keep them like I did and sneak it into the movies…. I made peanut brittle first, then I liked it so much I tried it again, with Cashews. That was even nicer! 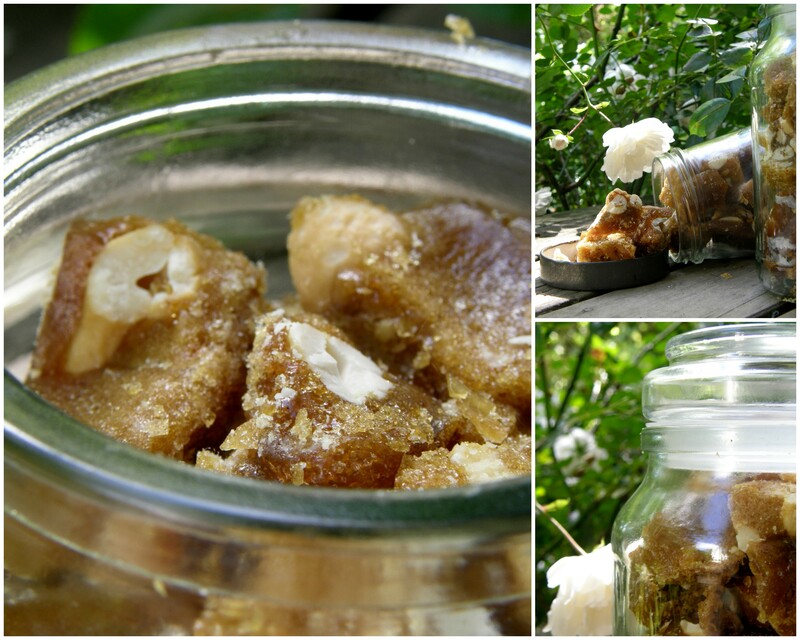 These photos are of the cashew brittle. It’s such a great recipe, even though some of the ingredients and measurements were quite American (harder to understand/use) it was very easy to make. 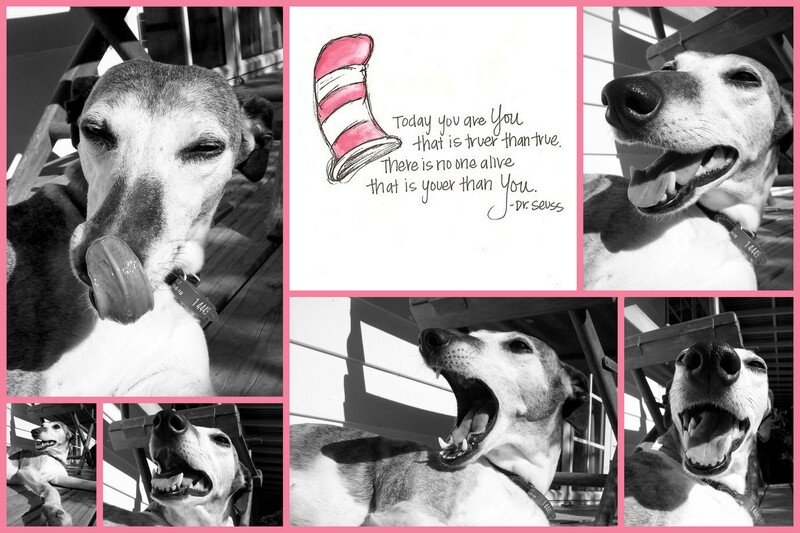 A Dr Seuss quote, along with our very wimpy whippet, Bonnie. She’s herself, all right: a lazy flea bag who is scared of our cats. This is a very cheap, easy way for amazing lights at a party! We had an after party for my brothers wedding, and my Amazing friend Ruth helped us decorate in a beautiful, elegant, budget friendly way. 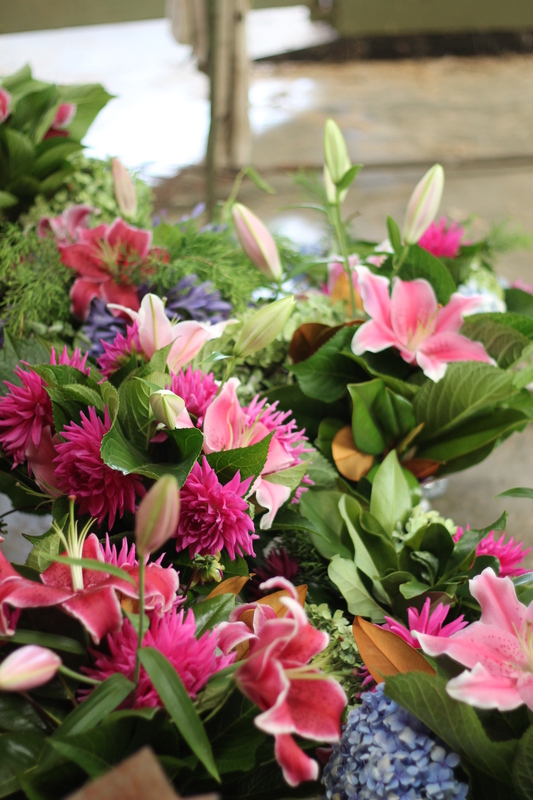 Ruth is a florist, and she helped us make the most BEAUTIFUL flower arrangements, using flowers and greenery from our garden. We added some huge pink lily’s from our local growers Market ($12 for 6 stems) and that made it look AMAZING! As the party was a BBQ by a pond, with willows and water lilies and lots of beautiful trees, we wanted something lanternish and glowing, but affordable. 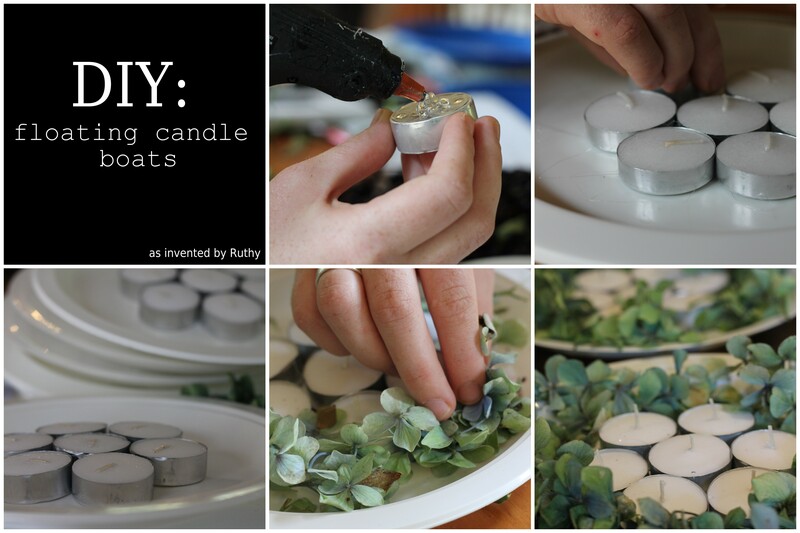 Get a plastic plate, one of those cheap picnic ones, and glue tea light candles onto the center. A hot glue gun holds them on and is waterproof. We put hydrangea flowers around the edge, to hide the ugly plastic plates! 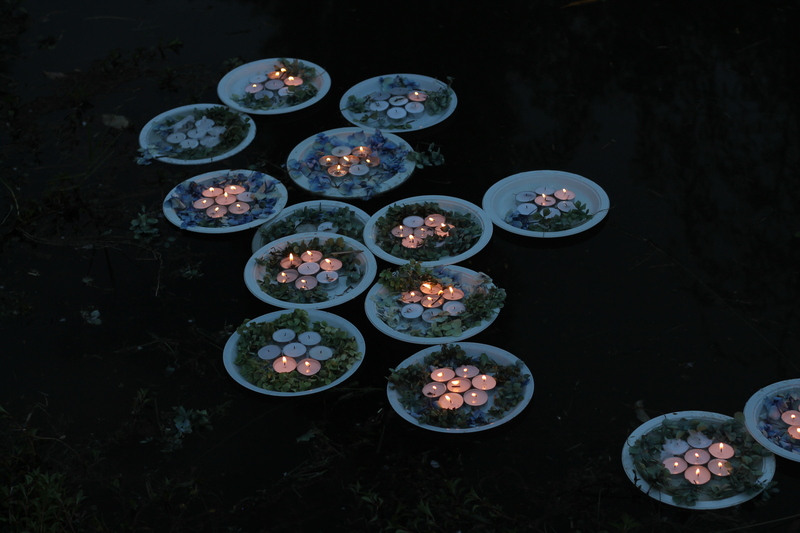 We made about 50 of these boats, and when it was dark we floated them on the pond. It looked amazing! 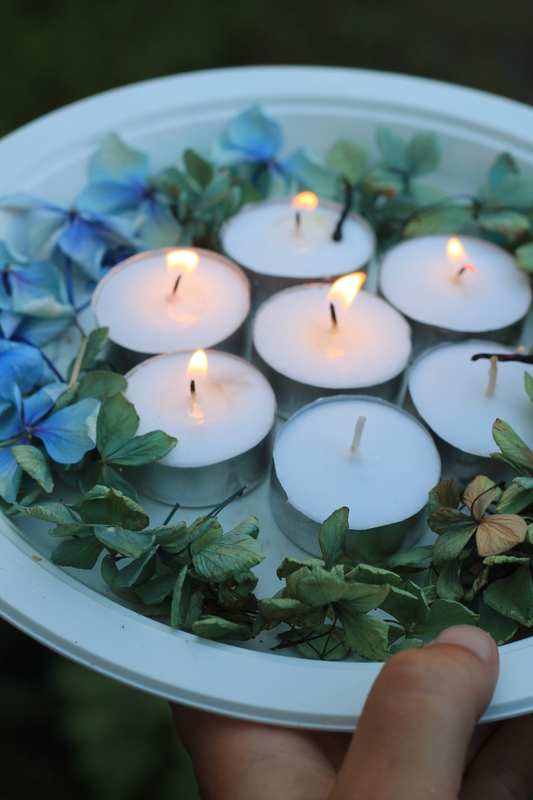 There were enough candles on each plate to get a bright glowing light, instead of little single candles. They didn’t sink, either! The kids had lots of fun lighting them and floating them out on the pond, and we put a few around by the tables and chairs like lanterns. One did have a sad death when the plate actually caught on fire. It threw out a plume of black smoke as it sank into the dank brown depths of the pond. As its on water, though, its very safe. Safe, easy, cheap, and beautiful! I spent an afternoon making these with a friend. We used folk art paints, ribbon, and lots of glitter! I used an old stencil to put the “love” word on. I’d love to try doing ones that say “pencils” or “pens” or “makeup brushes” “eyeliner” “paintbrushes” etc. 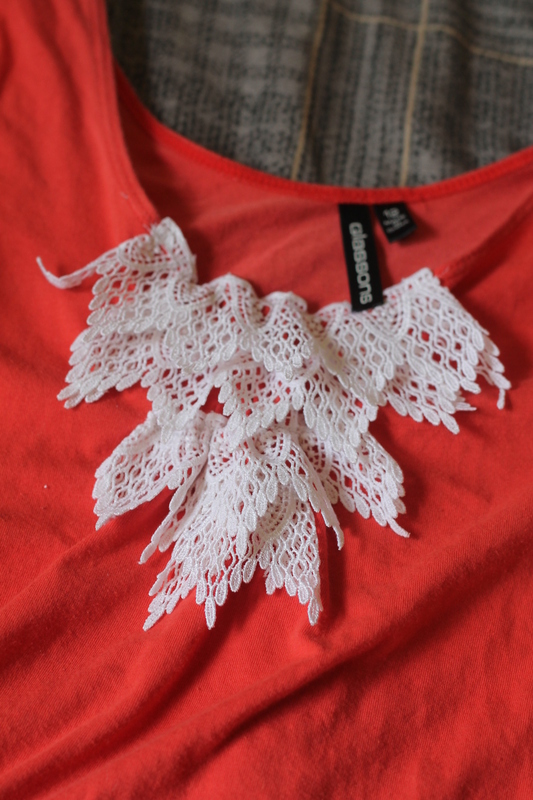 You can try spray painting through lace. It looks amazing! We didn’t do it on these because we didn’t have any spray paint. But we’ve done it other times, and it IS as easy as it sounds. 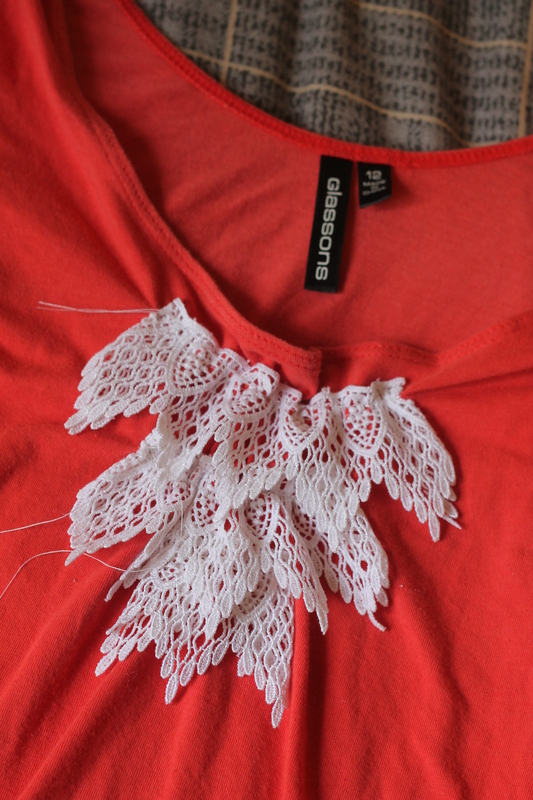 Just put masking tape on each side of the lace, unless you want messy, blurry lines. 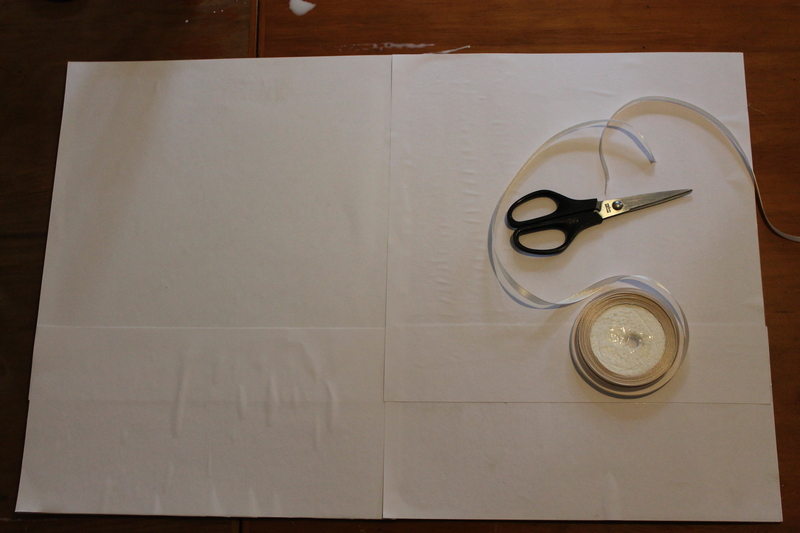 Another thing to try is to wrap tape (masking tape is best) up around the jar, in a spiral. 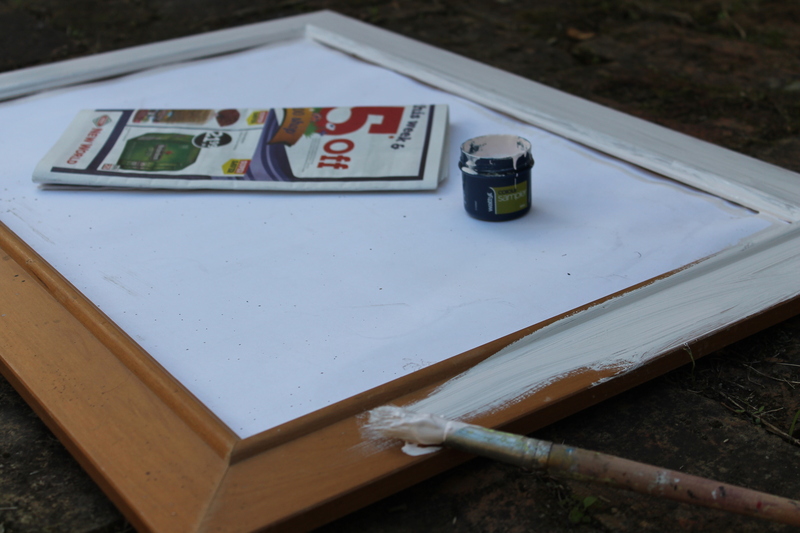 Paint over the whole jar, leave it to dry (or use a hairdryer) and then peel off the tape. You get a cute stripy jar! For all over glitter, paint black paint (or any colour, but black works well for making the glitter stand out) all over the jar. Then just sprinkle glitter all over! 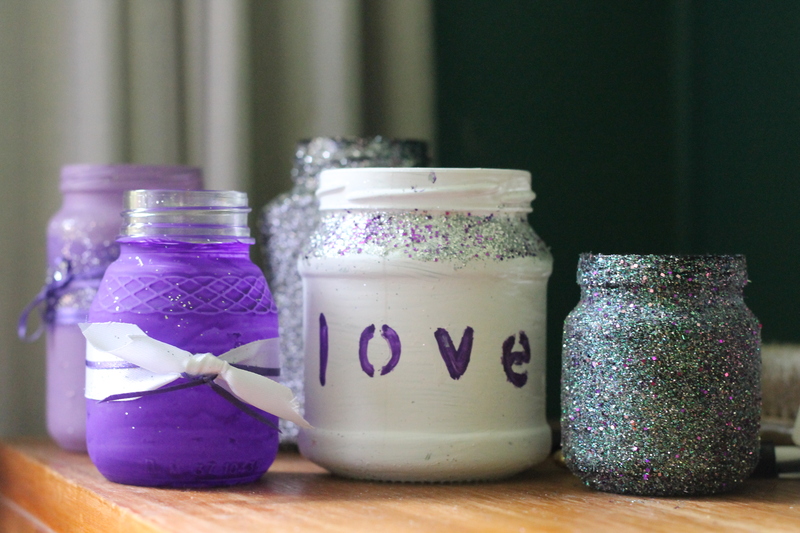 Just keep layering on the glitter, and you will get an amazing finish on your jar. You could try making a set of jars for makeup brushes and pencils, nail files, art supplies…. They would be a great gift for lots of different types of people. Not that I gave mine away! They’re sitting on my dressing table, full of strange things like combs and eyeliners. My hair is so frizzy and dry, after a long lasting summer in New Zealand. Its supposed to be Autumn here! So I googled hair masques, easy ones that even I would have the ingredients for! 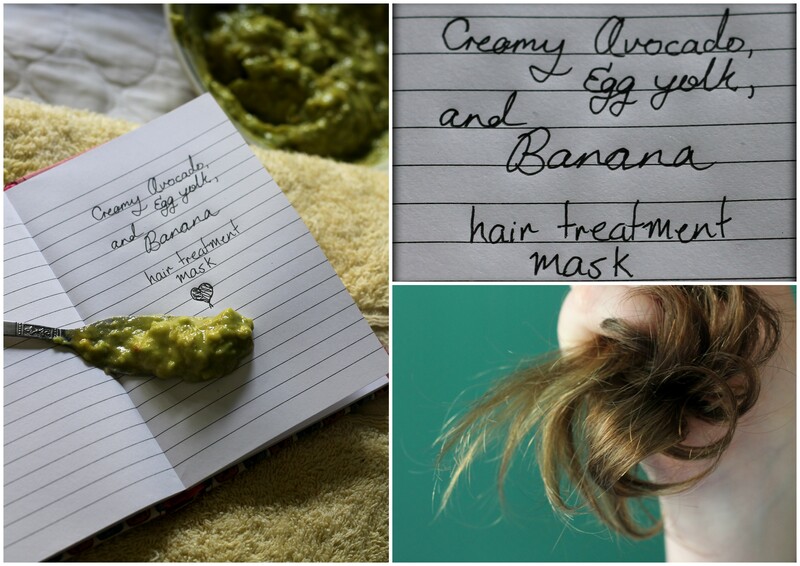 I’ve always wanted to try making my own hair masque, but its the kind of thing you always put off. Don’t put it off anymore though! This worked shockingly well…I’m SO doing it again and again and again. Mash all this together and spread into dry hair. It went on really smoothly and didn’t dribble down my neck, by the way! Then wrap your head in gladwrap, to seal in the warmth. Or a plastic bag, like me, who didn’t have any gladwrap. I left it on for 20 minutes. Sit in the sun if your lucky enough to have some, to warm your head. It works better that way. Then jump in a cold shower and wash it all out. Thoroughly. You have to have a cool shower, unless you want to be picking cooked egg out of your hair later! My hair feels so much silkier now. And it doesn’t frizz around my head as much! You could also change a few ingredients round, using whatever you have. We tend to have old brown avocados in the fridge, and fresh eggs, (my mum has a HUGE amount of chickens!) and bananas only sometimes. Olive oil is great, but not too much! My friend told me that when she was a girl she put cooking oil in her hair. It didn’t have the effect she wanted at all! She said she had oily pillows for weeks afterwards. A drop of Lavender essential oil is good, and lemon, for freshening up your scalp. And I found a lot of people use mayonnaise. I would only do this if you had real, homemade mayo, or good quality stuff. Not cheap-fake-egg-yolk stuff like we have in our fridge! I doubt it would have much nourishment.